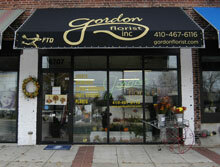 Gordon Florist is a full service Baltimore florist. Full service expresses our ability to prepare birthday flowers, hospital flowers, funeral flowers, wedding flowers, parties, business meeting & conference flowers as well as everyday flowers. The list goes on and on. Our service is “different” because each order is taken with your needs in mind and designed to please you and the recipient. Since the forties our shop has created beautiful flower designs for every occasion, every venue, every special day and every person regardless of their status or budget. We receive flowers daily from all corners of the nation and world. Our staff is trained to deliver only the best items that they would send to their own family or business associates. Our shop continues to mentor many young people to continue this practice, as we have done when we were originally located on St. Paul Street in Charles Village, zip 21218. This shop was located next to Johns Hopkins University and in close proximity to Loyola University, College of Notre Dame University, Morgan University and city campuses. Our current location at 6707 York Road is in zip 21212 just 10 minutes away from the Charles Village location and 3 minutes from Towson University. MASTER FLORIST.” location. We can send flowers throughout the nation and world. When you place a wire out order you are guaranteed that “special handling” will be given to it and the florist that is sent your order to process is going to provide the same “best” service to your order as we would. This is much different than “order gatherers” that simply pick the next shop up on their screen to service your order, knowing nothing about their ability to be of assistance in the best way. Many patrons have commented on this and are pleased with the special personal service that we provide. Walt and Dot Perry are pleased that we have built a large following based on the beautiful, artistic, ethical, fair and honest work they provide. The next generation of family members are coming on board and being trained to know what this mission is. *Our shop is open from 8:30 a.m. to 5:00 p.m., Monday through Friday and 8:30 a.m. to 1:00 p.m. on Saturdays. Charles L Stevens Funeral Home Charles S. Zeiler & Son Inc.
Howell Funeral Service Hubbard Funeral Home, Inc.
Kaczorowski Funeral Home Kaczorowski Funeral Home, P.A. Keswick Multi-Care Ctr Lassahn Funeral Home, Inc.
Levindale Hebrew Geriatric Ctr Lilly & Zeiler Inc.
We serve the "best" by providing the "best." Our designers prepare original designs based on your needs and specifications. We cater to predetermined budgets of businesses and individuals then offer beautiful flowers designed within your budget. 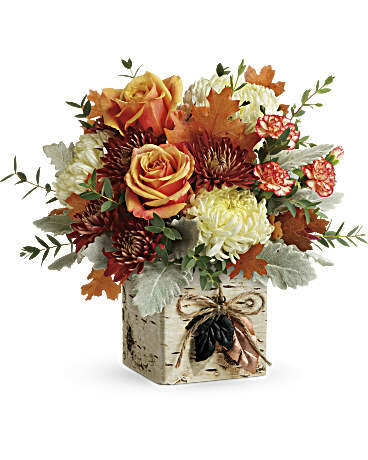 Flowers are shipped in daily and a large variety of flowers are readily available on short notice. Besides offering the finest floral designs we also prepare custom designed fruit and gourmet baskets. All of our efforts are aimed at pleasing you and the recipient of our products. Our mission and passion is to serve you with a guarantee of unconditional satisfaction. If you have any questions or need more information, please contact us by e-mail at gordonflorist4@earthlink.net or call us directly at (800)541-2372. We're always here to serve you and make your flower-sending experience a pleasure. U.S. orders must be received before 11:30 a.m.in the recipient's time zone to assure same-day delivery. Orders received after that time will be delivered the following day.